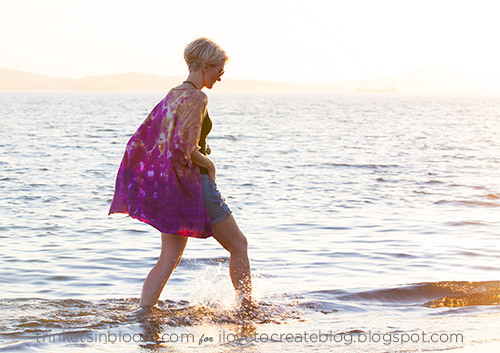 A much cooler version of a cardigan and a great summer trend that’s transitioning nicely into fall, kimonos are the perfect cover up for unpredictable fall weather. 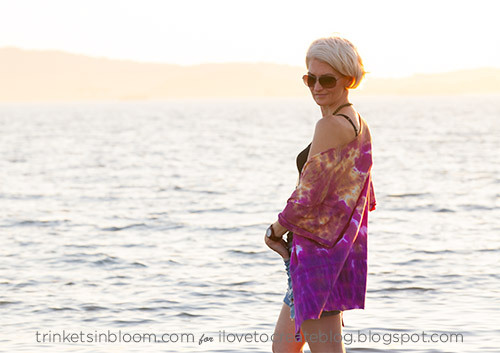 Made from a XXXL t-shirt, this Tie Dye DIY Kimono is super easy to make with NO SEWING required. 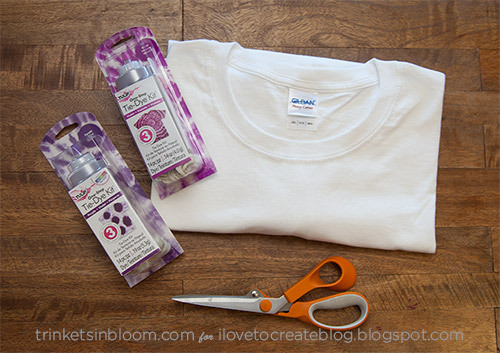 Using the rubber bands included with your Tulip One Step dye, tie the part or parts of your t-shirt that you want. 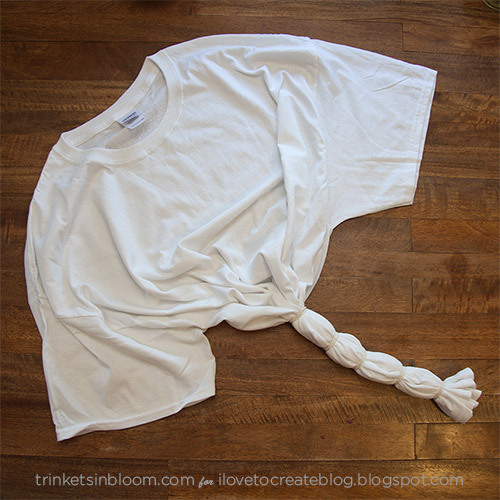 I tied the bottom body part of the t-shirt and scrunched the top and sleeves. I used purple around the rubber bands with violet in between and on part of the scrunched top. 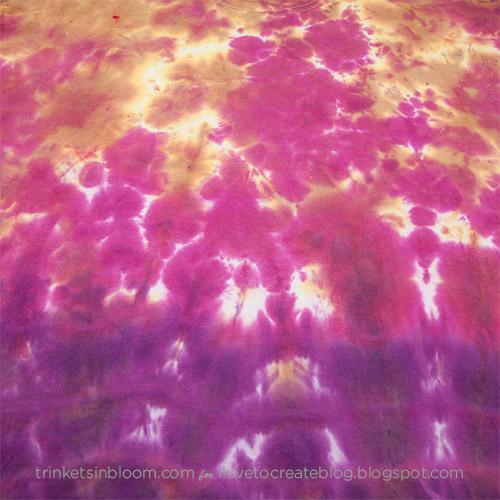 Then to give it a more fall feel I used the Tulip One Step Tie Dye Extra Large in Tea Stain all over the top scrunched part and all over the top of the violet and purple. 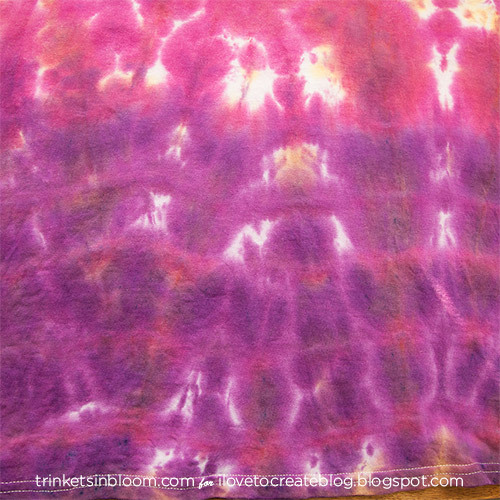 I let the dye sit for 3 hours before rinsing. 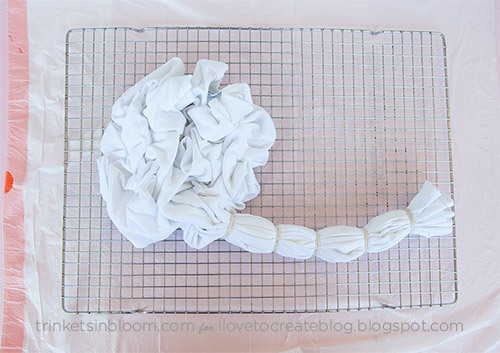 Rinse the dye out very well using warm to hot water, until the water runs clear. 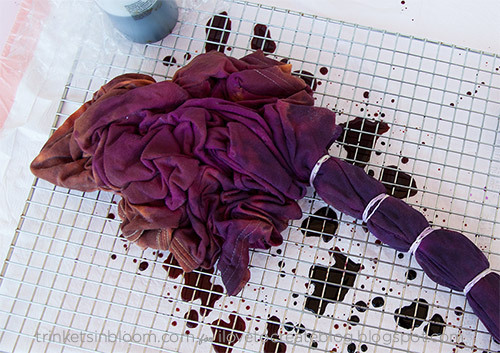 Wash and dry your t-shirt. 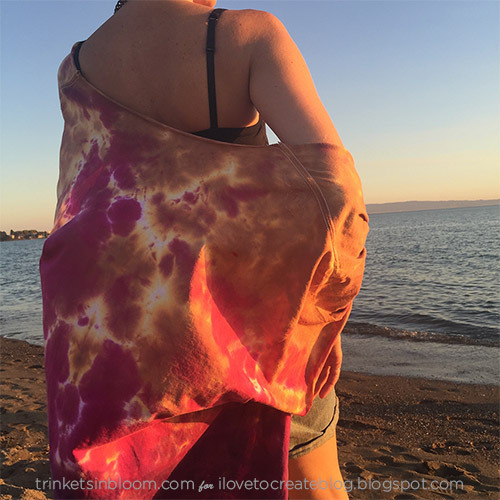 Here are details of the tie dye. Cut off the neck band and cut straight down the front creating a smooth line so that the front will hang flat. I also cut off the hems on the sleeves and the bottom of the t-shirt. 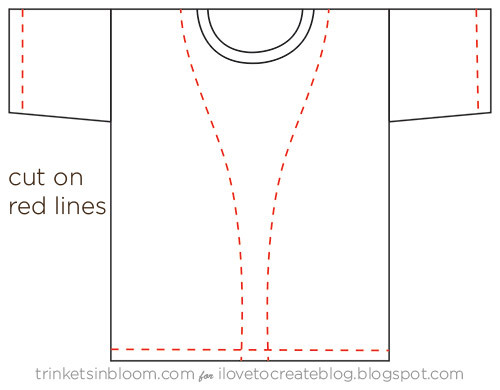 Cut your t-shirt along the red dotted lines. 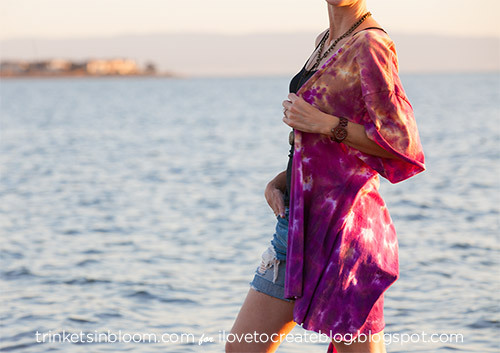 If you want you can cut fringe in the bottom of the kimono or add a trim. 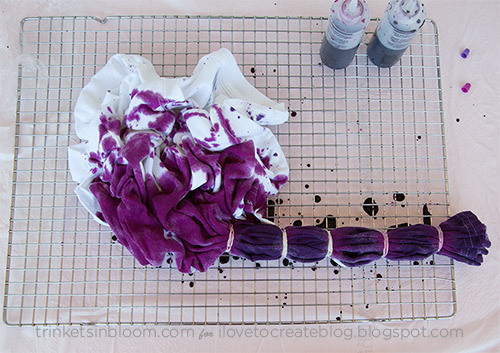 To see more fashion DIY tutorials check out my blog Trinkets in Bloom. 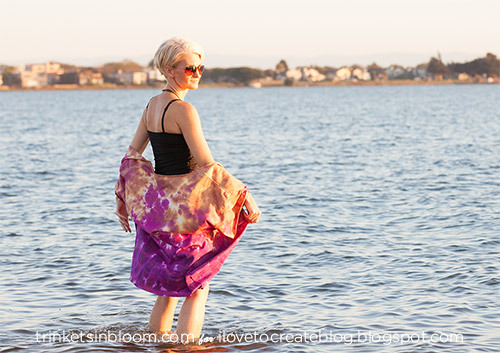 How will you make your kimono? Leave a comment and let us know. 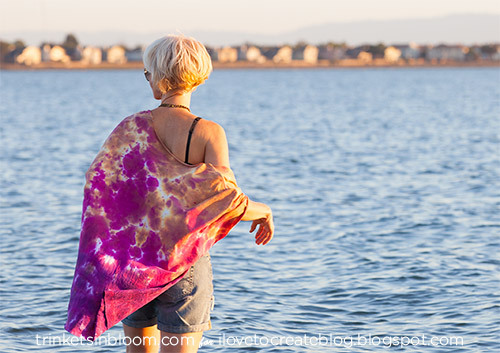 NICE tie dye post and very useful thanks for sharing. Nice article! Looking for t shirt printing in united states of America? Dkprint is expertise the area of t shirt printing by means of our innovative attitude. We have Highly experienced manpower that will suerly beneficial for productive output. We are the renowned t shirt printing in united states of America. Contact us now.